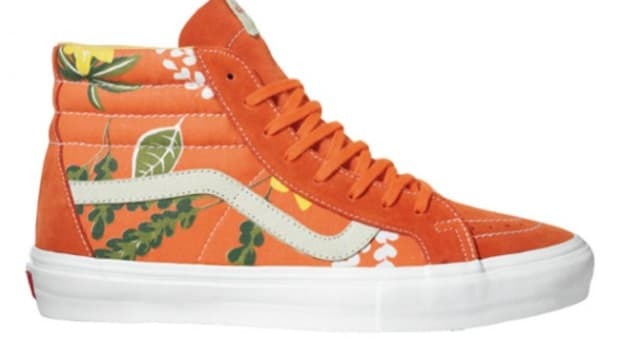 A lead supplier to urban explorers around the Bay Area, retailer The Darkside Initiative recently partnered with VANS Vault in the creation of Armored Pack, a two-part collection featuring VANS Vault Era LX and VANS Vault Sk8-Hi LX with two technical fabrics. Fitted with actual armor plates, SuperFabric materials are completely flexible and breathability. Yet, it functions perfectly against abrasion, scuffs, and scrapes. Lined on the interior is Outlast, the pack’s second technical fabric. Originally developed for NASA, Outlast’s ability to “phase change” and adopt means an optimal temperature despite the outdoor conditions. With an additional heat retention layer sandwiched between the sock-liner and outsole, each pair comes with both 550 Paracord laces and flat waxed laces. Limited to 100 pairs for each of the designs, the VANS Vault x The Darkside Initiative “Armored” Pack will be available at The Darkside Initiative’s storefront 11 am PST this Saturday, November 22nd. 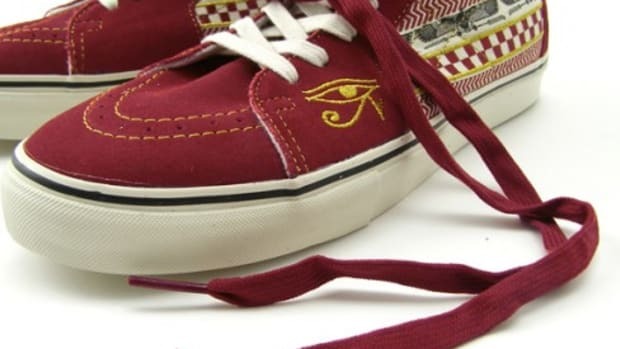 The pack will also be available via its online shop the same day at 3 pm PST. 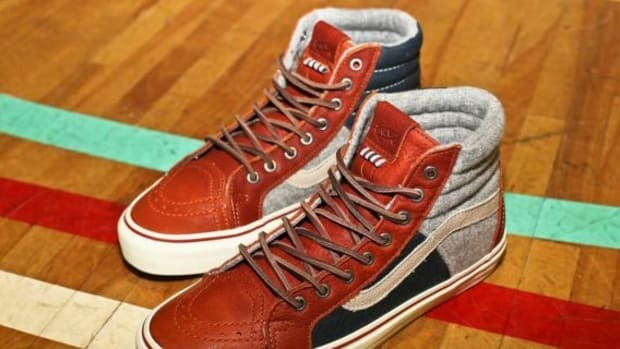 Vans Vault and San Francisco&apos;s The Darkside Initiative join forces to collaborate on the ArmoredPack, an OG Era LX and Sk8-Hi LX that highlight two technical fabrics, as well as the collaborators that bring them together. 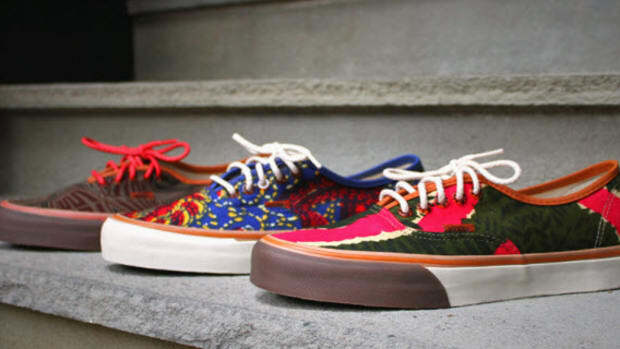 The first is Superfabric®, which appears on the uppers of both shoes. 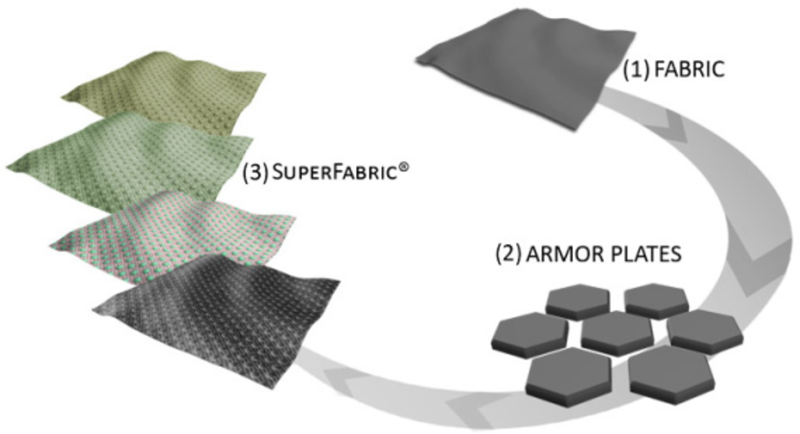 SuperFabric® technology takes a fabric and overlays it with tiny armor plates (“guard plates”) in a specific arrangement. The gaps between guard plates allow complete flexibility and breathability. SuperFabric® armor plates also provide a flexible barrier from abrasion, scuffs, and scrapes. SuperFabric® materials are highly resistant to, and the armor plates are, very difficult to stain. SuperFabric® material also provides a formidable slash resistant barrier against a variety of razor-like threats. Precisely placed, small and durable guard plates protect underlying fabric from being torn or sliced. Unlike some cottons, knits, nylons, etc., SuperFabric® brand materials won’t snag, fray, or tear. 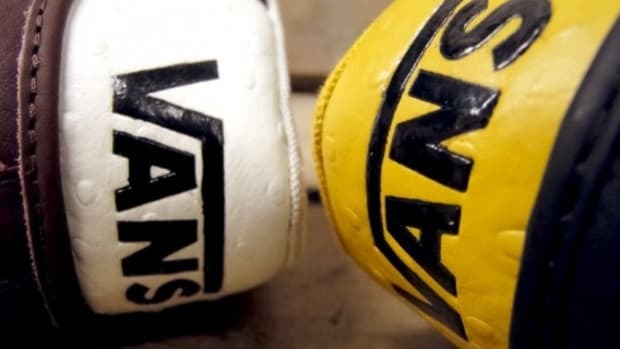 They also provide a high degree of resistance to scuffs that compromise protection and aesthetics, making them an ideal slash resistant material. SuperFabric® also has a multi-component Speed Dry system that quickly dries the fabric. SuperFabric® drying is the result of a multifaceted structure that quickly dries, while keeping the elements on the outside. When liquid comes in contact with SuperFabric® the molecules bead up on the surface, instead of being absorbed into the materials. Impervious armor plates, repellent fabric, and optional waterproof breathable membranes are all components of the advanced Speed Dry capabilities found in all SuperFabric® materials. 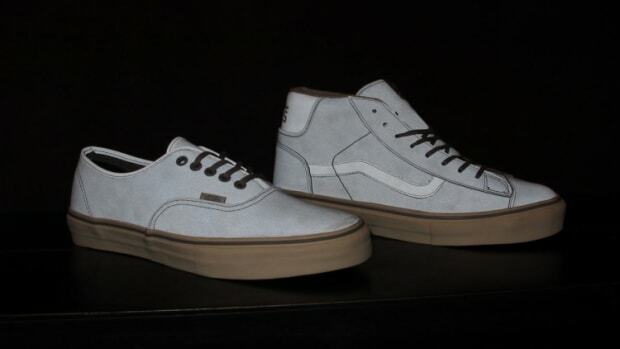 The second technical fabric is Outlast® and it is featured on the shoe-liner. Outlast® technology, originally developed for NASA, utilizes phase change materials (PCM) that absorb, store and release heat for optimal thermal comfort. Outlast® technology is comparable to ice in a drink; as it changes from solid to liquid, it absorbs heat and cools the drink, keeping that drink at the desired temperature for longer. Outlast® phase change materials work in the same way, but are micro-encapsulated to be permanently enclosed and protected in a polymer shell. Outlast® calls micro-encapsulated phase change materials Thermocules™. These Thermocules™ can be incorporated into fabrics and fibers and have the capacity to absorb, store and release excess heat. 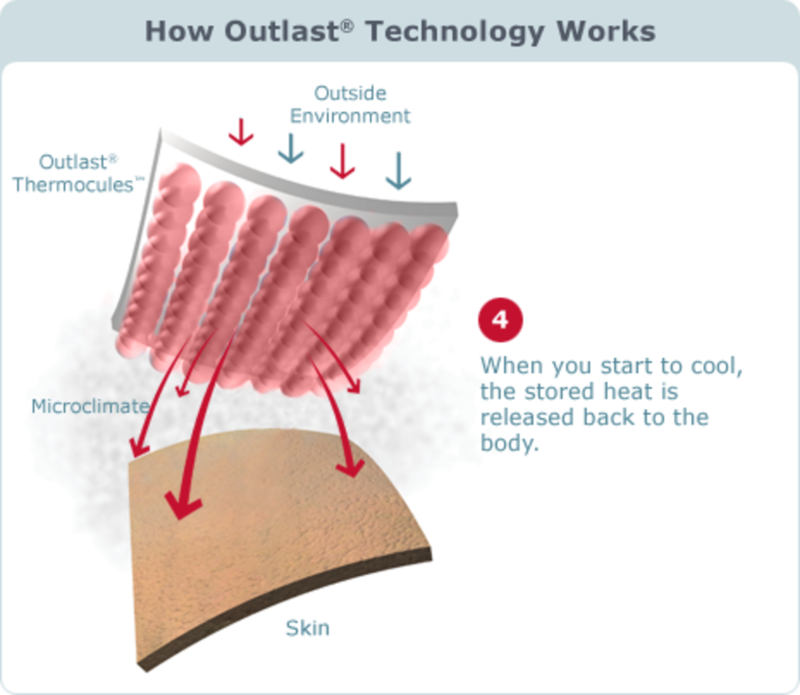 This gives any product containing Outlast® technology the ability to continually regulate skin’s microclimate. As the skin gets hot, the heat is absorbed, and as it cools, that heat is released. Outlast® technology is the only phase change material that carries the Certified Space Technology™ seal of approval. 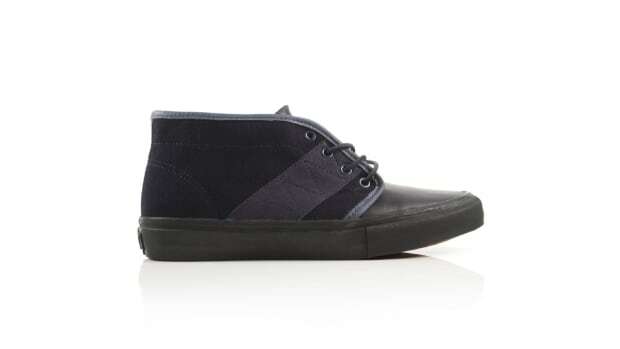 Both shoes also feature a heat retention layer between sock-liner and outsole keep the feet warm and dry. 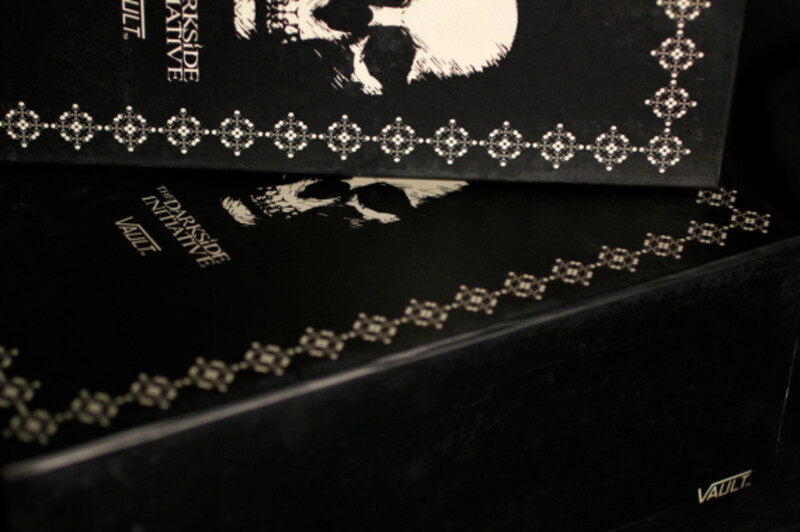 550 Paracord shoelaces and alternate pair flat black waxed laces included. 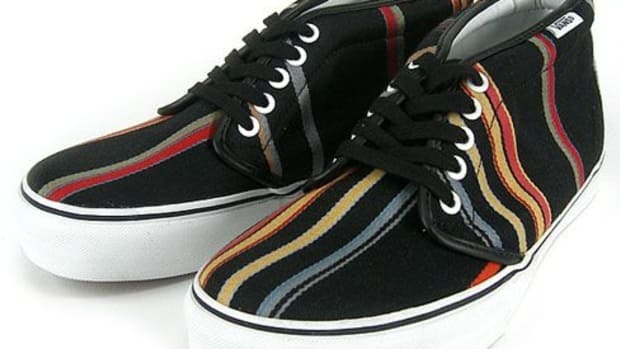 100 pairs of each style produced, mens sizes 4.5 through 13. Pack-themed skateboards, t-shirts and stickers from the Darkside Initiative round out the collection. Available exclusively at the Darkside Initiative November 22 at 11AM PST, and any remaining pairs will be in our online shop the same day at 3PM PST. 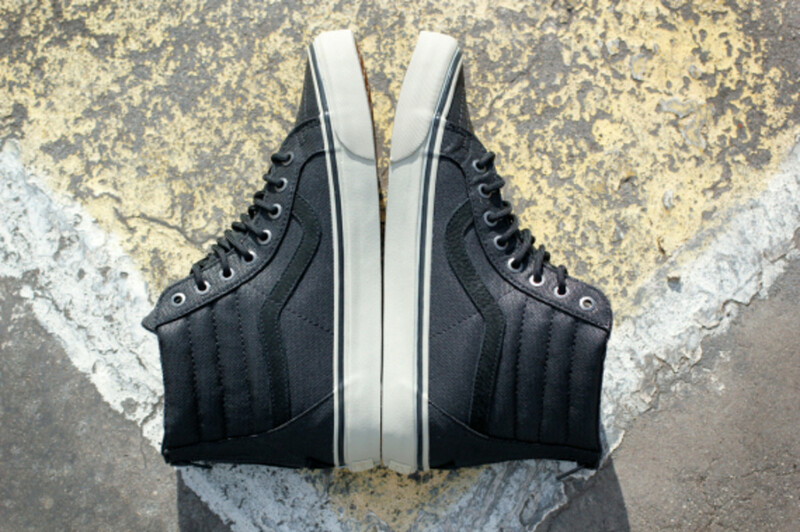 Vans Vault the Darkside Initiative SuperFabric® OG Era LX $180 and Vans Vault the Darkside Initiative SuperFabric® Sk8-Hi LX $225.